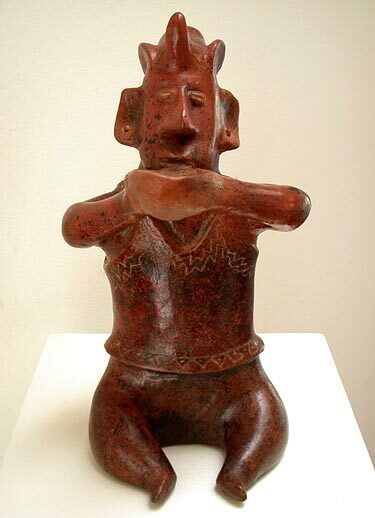 A ritual shaman figure adorned with incised designs. Provenance: From an early L.A. gallery of primitive art, Primus-Stuart, in the 1950s-60s, with inscription on base. (Ed Primus & David Stuart).